1. What is everyone using? The number of people searching the internet on mobile devices has now surpassed the users searching on desktops. (According to Comscore). We are all attached to our smartphones, taking them with us everywhere, so it makes sense that these statistics are changing. So you want to make sure you are staying relevant in today’s market. Have you ever gone to a non mobile friendly site on your phone? The text is tiny, you have a hard time selecting the menu, and before you know it you are just exiting the screen because you are frustrated. That is probably a lost customer that never go the chance to connect with your business. This past holiday season, online shopping was at an all time high. We’ve all realized it’s easier to sit at home on the couch and purchase our gifts on our ipad and have them shipped right to our front door, than to spend the day out fighting the crowds. Adjusting to this market could mean more sales to your business. 3. Your site could be penalized! 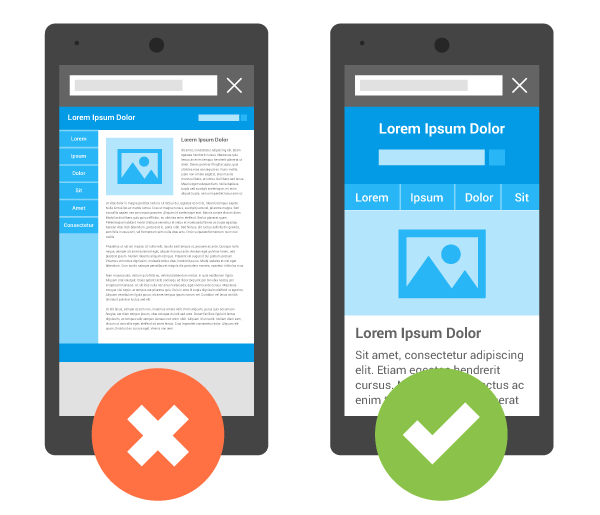 Not only does being mobile friendly affect the look of your site when a user visits, but it now affects your SEO! As of April 2015, Google started using a new mobile-friendly ranking algorithm that favors mobile friendly sites in search results. Now more than ever, it’s so important to make sure your website is mobile friendly. 4. How do I know if my site is mobile friendly? Oh no! My site isn’t user friendly,what do I do?? We can help! Here at J16 Media, all of our sites are developed to be mobile friendly! It’s not an extra charge, it’s part of the basics. We’d be happy to talk to you about updating your site! Send us an email, fill out the contact form, or find us on social (Twitter, Facebook, Instagram) to start the conversation!